Literary and visual artist, Carletta Carrington Wilson, will discuss the ideas behind the works in her latest series, book of the bound. 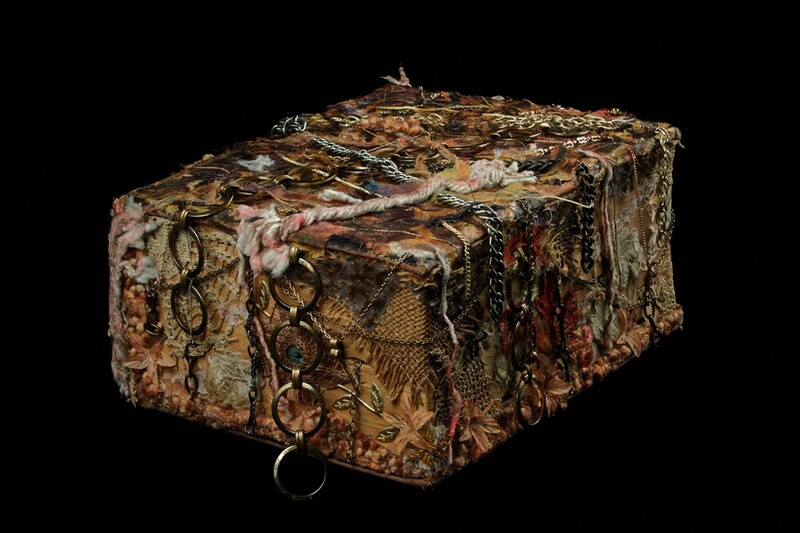 These altered books employ cloth to tell fibered tales of spoken and unspoken bindings wrought during the Transatlantic Trade in slaves. Wilson’s works have been described as “decorative with a message.” The show, book of the bound, employs both language and image as vehicles for telling multivalent stories across centuries. In addition to The Northwest African American Museum, which hosted book of the bound (December 15, 2012-March 10, 2013), Wilson’s collages have been exhibited at Gallery 110, Columbia City Gallery, Onyx Fine Arts Collective, The University of Puget Sound, Coastal Kitchen, Festival Sundiata, C Art Gallery and Seward Park Audubon Center. She was artist-in-residence at the James W. Washington Foundation in 2011.